Let’s look at the Fortune 500 companies broken into equal-sized revenue categories and see if there is any pattern about the law school of their top lawyers. The plot below shows 20 revenue categories increasing from $4.8 billion for the smallest company on the left to $89 billion and up in the farthest-right category. There are 25 companies in each category, plus or minus one. 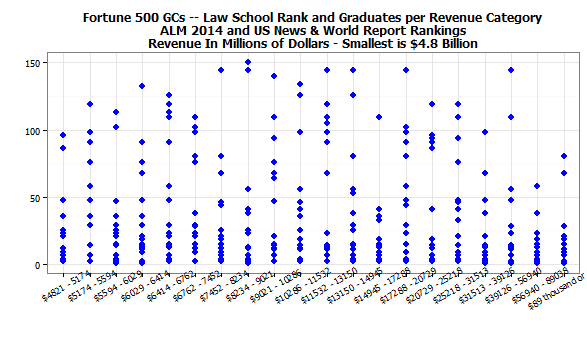 The blue dots above a revenue category each represent one general counsel and the US News & World Report ranking of that person’s law school, which can be read from the vertical Y-axis. 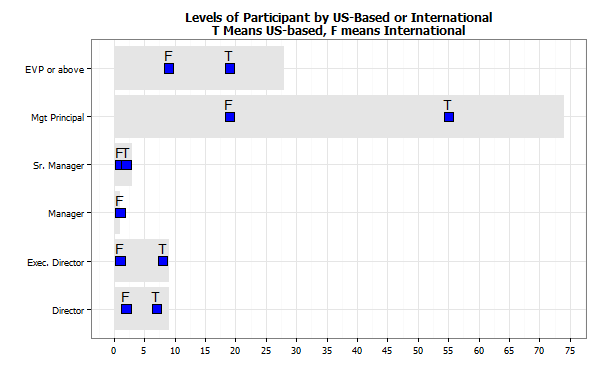 As noted before, when two schools have the same rank, this plot combines their graduate numbers. 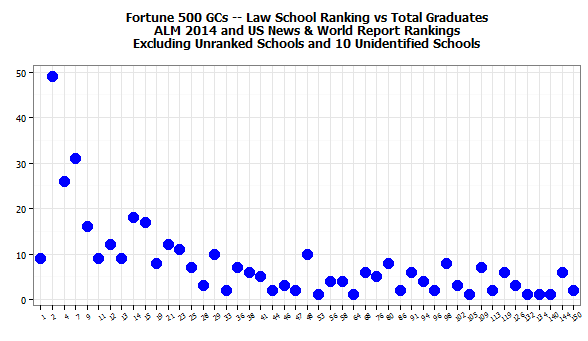 Unranked schools are not included and the law schools of a few general counsel are unknown.